Do you live in the Coral Way neighborhood? Were you injured in a Coral Way car accident? The Coral Way Car Accident Lawyers at the Wolfson Law Firm can help. Our office is located at 3399 SW 3d Avenue in Miami – just one block from Coral Way and you can call us for a free consultation right now at (305)285-1115. Jonah Wolfson is a bilingual personal injury attorney in Miami and he is available to speak with you. You can see his videos here in English and Spanish. Call us today to find out more! In the 1920’s, Coral Way was established by the Coral Gables founder and developer George Merrick. There are approximately 35,000 people who live in in what is considered the Coral Way community. The zip codes for Coral Way are: 33145, 33133, 33129 and 33135. 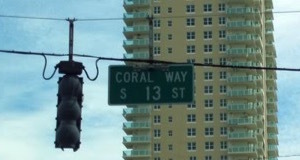 The main roads of Coral Way are US 1 which is also called Dixie Highway and the Coral Way Corridor which travels from Coral Gables to Brickell and Downtown Miami. If you lost a loved one due to the negligence or intentional act of another, our compassionate Miami Wrongful Death Lawyers can help you and your family through what is probably the most difficult period of your life. Nothing can replace a life that is suddenly and unexpectedly taken, but our Coral Way Wrongful Death and Serious Injury Lawyers can make sure that you receive the financial compensation you deserve so that you can properly grieve and recover. If you were involved in an accident, our Miami Car Accident Lawyers can help you understand what you need to do after a car accident. If you work with us we will fully investigate the facts of your accident including experts if necessary. Car accidents on Coral Way can be tricky. Some intersections are downright confusing. In addition there are a number of restaurants and bars up and down Coral Way. Unfortunately, some people still drink alcohol to excess and get behind the wheel. Some drivers are using other substances, such as marijuana or pills, which lead to impaired driving which is just as illegal as drunk driving. Drunk or impaired drivers are also more likely to leave the scene of an accident which leads to other issues in achieving a financial recovery for you as a personal injury victim. If a drunk or impaired driver leaves the scene, we will need to determine if there are any witnesses who can help identify and locate the offender. Our Coral Way Personal Injury Accident Lawyers work closely with law enforcement to bring drunk or impaired drivers to justice. Doing so helps not only our personal injury clients, but also helps protect the general public from repeated offense by that driver. If the drunk or impaired driver escapes, all is not lost. Our Coral Way Car Accident Attorneys may be able to pursue an uninsured motorist claim for the actions of a “phantom” vehicle. We may be able to find other avenues of recovery after a detailed investigation. If you call us at (305) 285-1115 we can review the facts of your case and discuss all of your options. If you live in the Coral Way neighborhood or were injured in a car accident in or on Coral Way, then you should call the local Miami personal injury attorneys at Wolfson Law Firm. We are located at 3399 SW 3d Avenue in Miami in The Roads one block from Coral Way. We have been guiding and counselling personal injury victims. Jonah Wolfson is a bilingual personal injury attorney in Miami and is available to speak to you now. Call us right now at (305) 285-1115 for a free consultation. We are available 24/7. 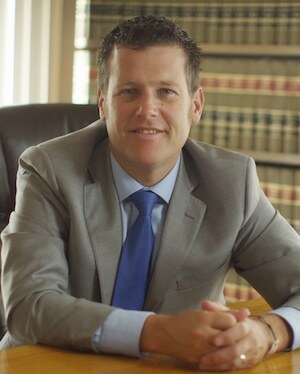 The Wolfson Law Firm represents people with personal injuries and wrongful death claims in Tamiami, Doral, Edgewater, Brickell, Miami Beach, Kendall, Fontainebleau, Midtown, Westchester, Wynwood, Miami Gardens, Flagami, West Flagler, Grapeland Heights, Allapattah, at the Miami International Airport, on Le Jeune Road and all across South Florida neighborhoods and communities.